Eugene Sutphin: That's a nice dress you're wearing this morning, Misty. Q: The movie is full of captions that lead us to believe the movie is based on a real case...is it? Q: At the flea market a man asks if "New York money" is ok. What is "New York money?" This film won't be to everyone's liking, but is certainly an all-time favorite of mine. Only a film like this can combine so many great elements into one entertaining movie. 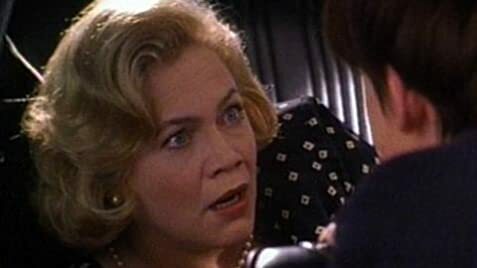 Kathleen Turner is just purely brilliant as sweet mother Beverly Sutphin, who would look more at home in a show like Bewitched. However, we soon learn that she's not all that she seems. I love any movie that takes a classic element (in this case the innocent housewife) and completely turns it on its head. 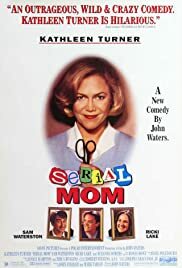 And so the film leads us on a journey through Beverly Sutphin's life and motivations. The film grabs on, and doesn't let go, keeping the pace until the very last scene. In bad taste? Well, yes. Sick humor? Quite often. Good? Oh yes. If you have a dark sense of humor, don't miss it for the world.